Imagine your groom’s face when this gorgeous Aston Martin DB9 turns up to sweep him off to your nuptials. With an exciting spin before your service, we guarantee he won’t be shaken, but his imagination might be stirred and we could be delivering you your very own James Bond. We have a large range of chauffeur driven sports and super cars available for you to hire for your wedding. If you’re looking for a sporty little number in Leighton Buzzard, Milton Keynes, Bedford, Northampton, Kettering, Buckingham, Luton, Dunstable, Aylesbury or London, to get your groom to the church on time, then look no further than Special Day Cars. So, to surprise your groom and give him the VIP treatment in one of our chauffeur driven wedding cars, call Claire on 01908 309275, email contact@specialdaycars.com or ping us a Facebook message! We’d be delighted to put together a quote or answer any questions you may have. 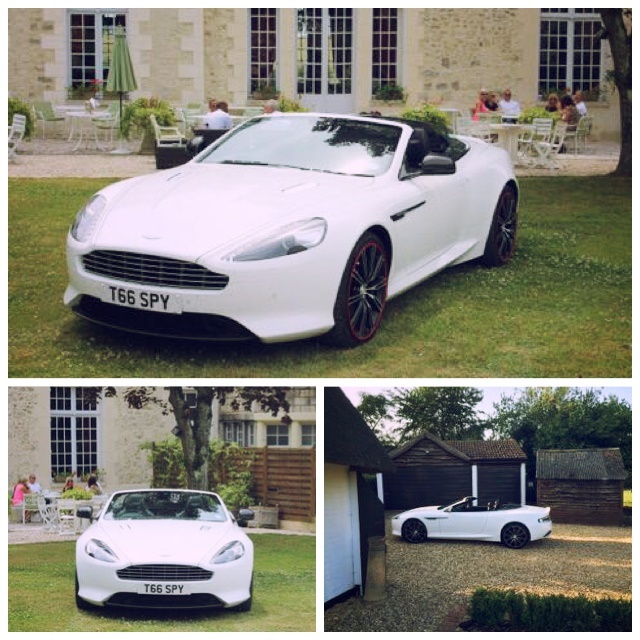 The Aston Martin DB9 sports car sets new standards in its class and the luxury wedding car hire market. Due to its astonishing combination of agility, V12 power, smoothness, beautiful design and hand craftsmanship it is possibly the best and most beautiful sports GT in the world. This is a phenomenally attractive car and is the best-looking super car on the market. For your James Bond moment select the Aston Martin DB9 and turn every head, at every traffic light and every street corner for the duration of your journey. Using a radical new aluminium-bonded body frame, the Aston Martin DB9 is one of the most sophisticated and technically advanced sports cars in the world. 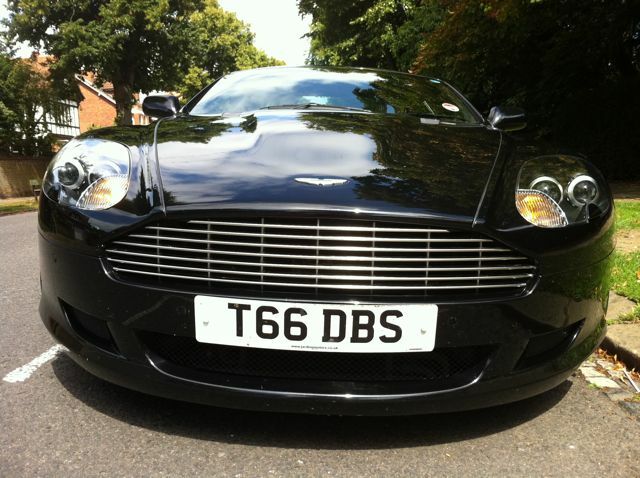 The Aston Martin DB9 is our most popular car. It is powered by the latest version of Aston Martin’s 6.0-litre V12, producing 450bhp and a top speed of 186mph. Yet the DB9 is significant well beyond being a class-leading sports car. Just wanted to say a big thank you to you for making my wedding day very special. Even though it rained all day, it didn’t dampen any spirits and it didn’t take the surprise away when my partner saw the DB9 coming down the driveway! 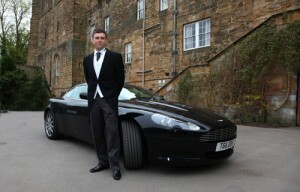 I told him that I was getting a taxi and his comment to the best man made me laugh “you don’t get DB9 taxis now, do you”! Everyone loved it, the lads enjoyed their spins in it and it looked great. Your chauffeur was nothing but professional the whole time and is a lovely man. Thank you again for making my day a lot less stressful and fantastic. I will definitely recommend your services. When I get some pictures I will forward them to you.